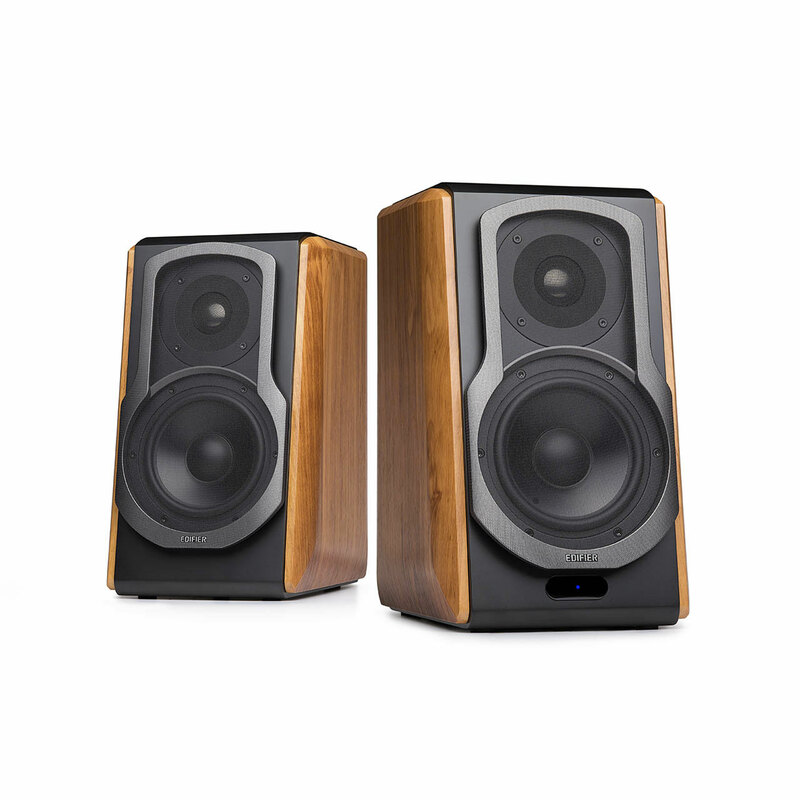 Ready yourself with the loudest retro vintage looking speakers from Edifier. Feel the full force of all120 watts. Paired with your receiver for your home theatre, experience super definitive sound. Crank up the volume with this stylish yet simplistic form factor with the 5.5-inch aluminum bass drivers. These drivers create a surge of bass for anyone looking to get the most from their sound. The angled design is made specifically for creating a larger sound with a low frequency. This design is incredibly robust, which, makes it reduce the resonance of the sound. Attaching the grill of the S1000DB reduces the attenuation so you can get the full strength of the sound signal. The S1000DB has a titanium dome tweeter for creating a smooth response rate. The titanium also helps give an excellent dispersion and better sensitivity than plastic tweeters. Edifier's S1000DB 2.0 bookshelf speaker system features Bluetooth aptX®. Using this technology Bluetooth reduces the bit rate without affecting the quality of audio or creating latency issues. Connect wirelessly with your cellphone or smartphone with Bluetooth technology. Use your Android phone from Samsung, LG, HTC or any other Android phone with Bluetooth. Also connect from any Apple device such as iPhone, iPad or MacBooks. The Edifier S1000DB Wireless Remote provides a sleek small rounded solution to fully controlling the power of the S1000DB bookshelf speakers. 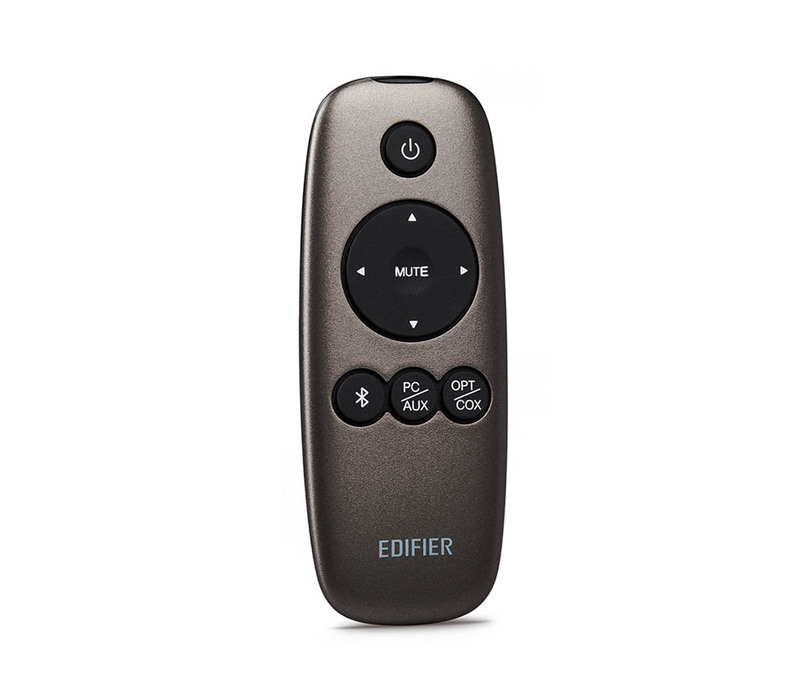 Start up and power on the S1000DB from any point in the room with this handy remote. Adjust volume to the exact level that you enjoy for listening to movies, music or gaming. Select up to 5 different inputs with the remote from Bluetooth to coaxial inputs switch inputs on the fly.